In the past, we have shown you how to install Google Analytics in blogger to track important information about your users. However, sometimes you need even further information about who uses your website. Therefore, you need more tools to help you provide you the right information that matters the most. 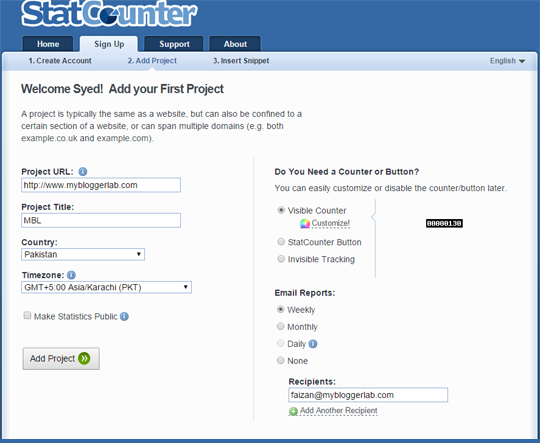 Statcounter is the right tool which does the job quite nicely and more importantly it is FREE. 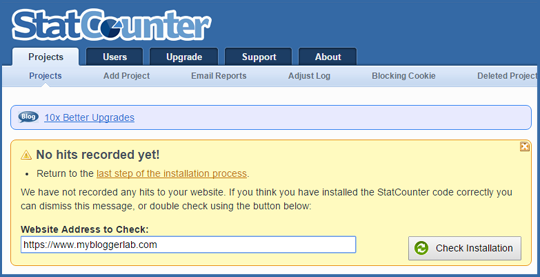 Today in this article, we will show you how to install StatCounter in Blogger to track user activity. StatCounter is a Free online monitoring software that provides essential information about who visits your website. It keeps track of popular pages, download activity, download counts, recent visitor activity, exit links, keyword analysis and a bundle more things that matters. You can even discover the IP Address of the visitors visiting your blog which is not possible with Google Analytics. Later on your can use the block the user using IP Address in blogger. So to get started go to Statcounter.com and register for a new account. Registering an account is simple, enter your email, password, full name and other information. Once you’re done creating and setting up your account details click on “Create Account”, move to the next step. After signing up, add a project to your account, insert project URL (your website link to track), project title, country and Timezone. You have some optional features as well, you can choose whether to display a stat counter to your visitors or do invisible tracking without displaying any counter button. Once you are done with writing details, press "Add Project" button. Now from list of multiply platform select "Blogger" if you are not using blogger you can choose any other listed platform. After selecting Blogger you will get a tracking code which you need to insert in the template codes of your blog. 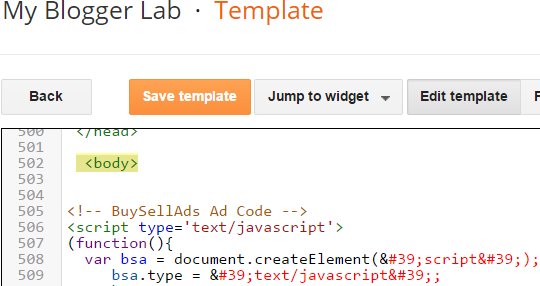 Go to Blogger >> Template >> Edit HTML >> search for </body> and just above it paste your code you copied in the previous step. 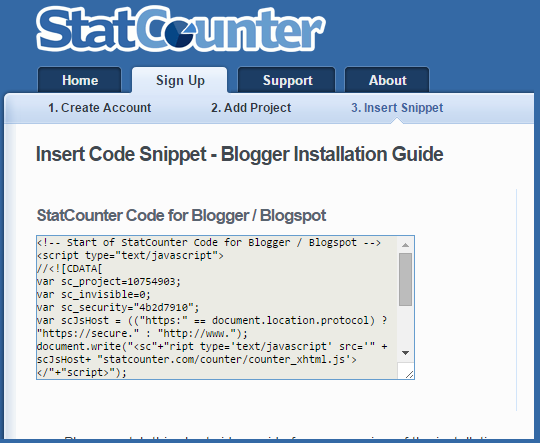 After installing the code on your blogger site, go back to statcounter.com, To be able to see reports correctly, you need to verify if your code was installed correctly and to do so click on "Check installation" as you can see in the screenshot below. If you have installed the code correctly onto your website, you will see the message as it is shown in the screenshot below. After verification your website is ready to track all the essential information that you need to know about your user. We hope this tutorial has helped you in learning how to install Statcounter in Blogger to track even further information about your users. If you like this article, do share it with your friends on Facebook, Twitter or Google+. 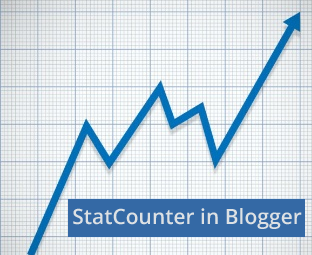 What's the different between Blogger default stat and StatCounter?